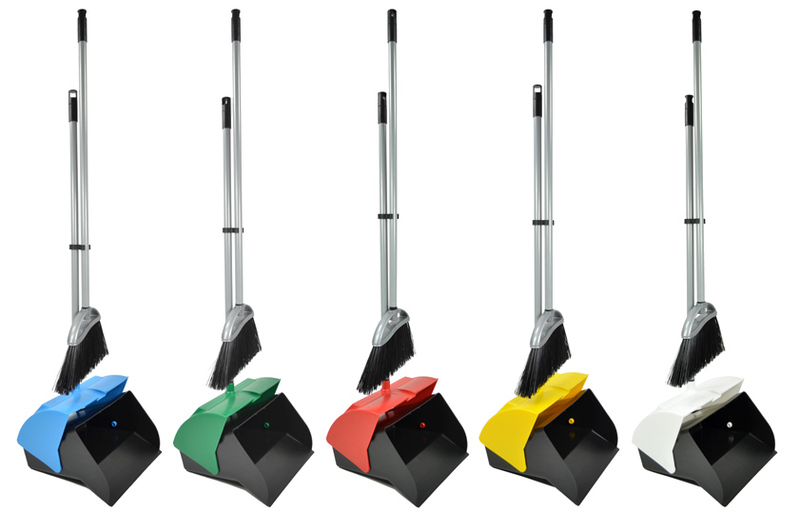 The Harold Moore Dustpans and Lobby Pans have been innovatively designed to satisfy end user and industry requirements. The large open mouth provides high capacity storage space to accept larger objects such as aluminium cans and vending cups. The angled front edge ensures the pan retains both solid and liquid waste. Designed for purpose and ease of use the lobby pan lid closes automatically or clips open for ease of emptying. Manufactured from our specially formulated high quality polypropylene, the lobby pan is available as a self-assembly flat pack (pack size 5) or supplied fully assembled. High capacity pan with open mouth to fit larger items such as aluminium cans and cups. Fully sealed for use with liquid waste. Lid closes automatically or clips open for ease of emptying. Supplied with coloured base and coloured lid; available as a flat pack or assembled. Colours available: blue, red, green, white & yellow. Any colour combinations on lid and base available. High capacity pan with open mouth to fit larger items such as aluminium cans and cups. Fully sealed for use with liquid waste. Lid closes automatically or clips open for ease of emptying. 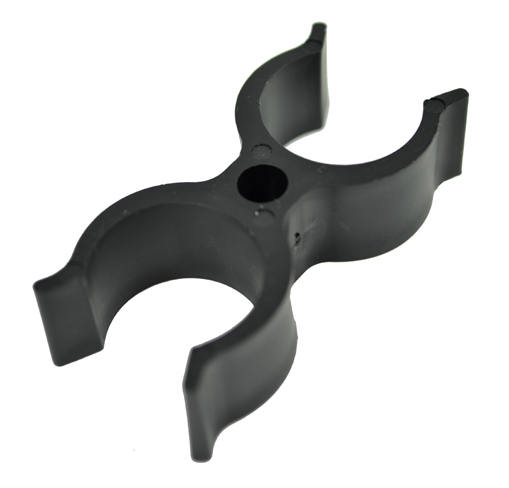 Supplied with black base and black lid; available as a self assembly flat pack or fully assembled. High capacity hand pan with open mouth. 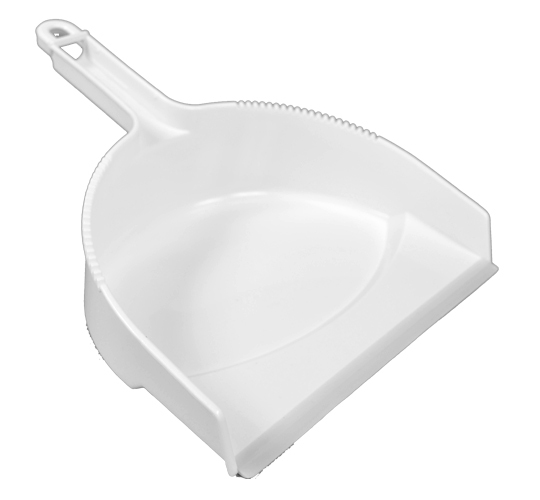 Polypropylene hand dustpan with elastomer lip. Clips together with dust pan brush. Available in white only. 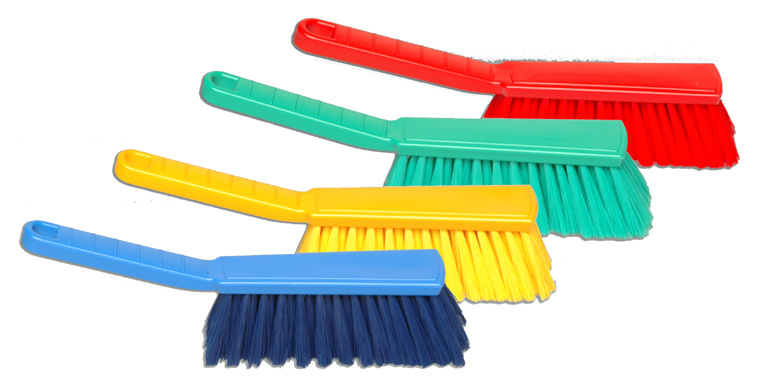 Coloured polypropylene back and PBT bristles. Available in blue, green, red and yellow. 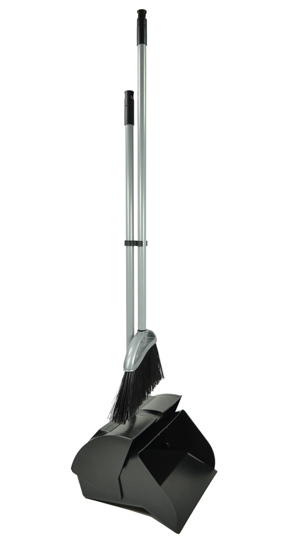 High quality long-handled lobby pan brush with long bristles. Available in black only. Polypropylene double sided clip to attach brush and lobby pan handle for simple, accessible storage while not in use. Available in black only.